Work with Mandragora came to fruition in 2004/5 with the Earthdance project. 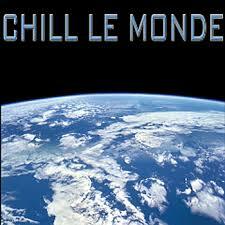 Simon Williams of Mandragora and musician Phil Thornton approached me with the prospect of putting together a taster DVD for the world music compilation album ‘Chill le Monde’ on the Blue Dot Music label, which they were mixing and producing. Five two-minute pieces were put together (below), using footage from my own archives as well as video material provided by Phil Thornton, Simon Williams and Graham Mark. Whilst the proposed album length DVD never came about, this footage saw the light of day in a live performance in one of the marquee venues at the 2004 Glastonbury Festival, UK, as well as featuring on Blue Dot Music’s YouTube channel. Footage shot in Peru by Graham Mark is edited to music by Pedro Martins (remix by Earthdance). Original footage shot by Phil Thornton of East Sussex Fire Festivals and by Nick Cope is cut to the track ‘Firedance’ composed by Musa Mboob (Earthdance remix). Music by Ram Gaar, remix by Earthdance, video cut together from original footage shot by Phil Thornton (Egypt), Gary Wraith (Sheffield) and Nick Cope (Morocco). Footage shot in Spain of Moroccan Gnoua Trance Musicians by Nick Cope, music is by Dalinda. Original footage shot by Simon Williams and Sarah McLaughlin and animated African Textiles by Nick Cope are cut to the track ‘Watersong’ by Phaedrus featuring the Bulgarian Folk Ensemble. “Simon Williams is the musical force behind Mandragora, pioneers in world dance music. Simon has worked extensively in Music production and toured work throughout the world. Some of the content for Earthdance arises out of a project Simon was involved in, setting up music recording studios and collaborative opportunities in Gambia, West Africa. Following video and music collaborations back in the 1990’s Nick, Phil Thornton and Mandragora came together again in 2004 to develop the Earthdance project, which has been performed just once at a small marquee venue as part of the famous Glastonbury Music Festival in the UK in June 2004. Earthdance draws on a wide variety of dance and ritual based performance footage shot by the artists over a number of years, and combines this footage using VJ software with live music performance.